Spring is finally in the air, folks. The weekends are a little warmer and the flowers are beginning to sprout. Any houseproud DIYer loves this season. Why? Because it’s a chance to get out in the garden and start working. It’s chance to give the whole house a deep, spring clean. Best of all, it’s time to take on a new set of DIY jobs. The house often looks a little worse for wear after the cold, harsh winter. It takes a battering from the winds and suffers at the hands of the cold frost. It means you’ve got to throw off those winter blues and breathe new life into the home. 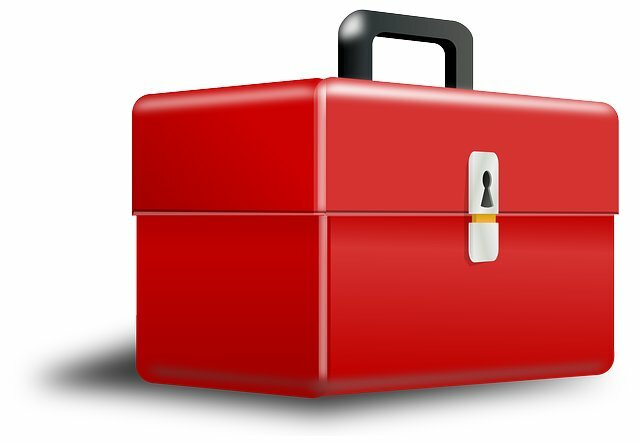 In this post, we’ll help you prepare your toolbox with everything you’ll need. If you’re not usually the DIY type, you soon will be by the end of this post. We’ll introduce you to everything you need to take on your first project. Don’t worry, we’ll prepare you for every DIY eventuality! So, let’s start with the essential tools you’ll need to pick up for your toolbox this year. We’ll start with the tool box itself. You need something that is solid, sturdy and reliable. Ideally, you’ll choose one of the strong, plastic variety. It should have various compartments so you can separate out your tools and components. One neat trick here is using a foam organizer. It’s a simple piece of foam with cut-out spaces for each of your tools. This is ideal for making sure each of your tools stay safe. It means they won’t grind against one another while in the tool box. You can also see quickly and easily which tools are missing. There are all sorts of other tricks you can use here. Check out ‘Tool Foam Organizer – 101 Hacks‘ to find more innovative uses. A screwdriver is your first vital tool on the list. It’s probably one you’ll use most often, even for the simple jobs. It comes in handy even when replacing batteries! If you’re taking on a large DIY, it’s worth picking up a set of screwdrivers with various sizes and heads. A flat head screwdriver, for example, serves a very different purpose to a philips head. One option that will save you time and space is a ratchet screwdriver. This has a unique mechanism that ratchets as you twist. It makes the process much easier. 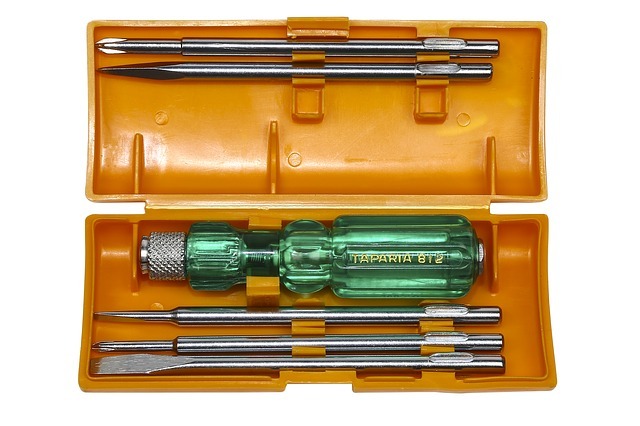 These ratchet tools often come with various replaceable heads for extra versatility. The hammer is a traditional tool and it will come in handy more often than you think. The hammer is essential for simple DIY jobs, like hanging a painting or photo. It’s also crucial for any woodwork project such as building a table or shelves. It provides a handy tool for knocking and shifting things into position too. Don’t feel you have to be too neat and tidy with this one! Best of all, it has the clawhammer on the reverse, so you can pull out any nails. Handy when you put a nail in the wrong place. Pliers are great for giving you super-human gripping strength when you need it. If you come across a particularly stubborn nail that needs removing, for example. They can also act as a vice grip without purchasing another expensive tool. If you buy a lockable, adjustable set of pliers, it can stick in place. It is as strong as a vice grip, making it a very versatile tool indeed. A wrench, or spanner to some people, is best used against tight nuts and bolts. Ideally, you’ll want to keep a range of sizes in your tool box. In fact, many have up to eight different options. You can decide how many sizes you’ll need for your DIY projects. The standard version is a simple ‘open wrench’ which comes in various head sizes. However, you could upgrade to the adjustable ‘crescent’ wrench. This allows you to tighten the coil to alter the sizing. Wrenches also come in handy when you’re working on plumbing and pipes. 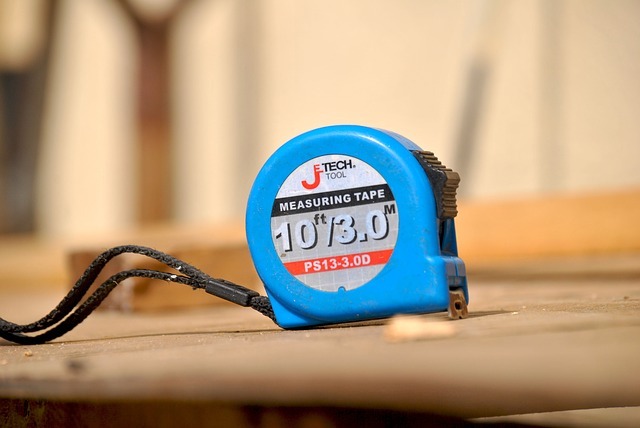 No matter what job you’re taking on, you’ll invariably need a tape measure. Even if you’re simply hanging a picture in your home. Without an accurate tape measure, you’ll hang it at the wrong height! It becomes even more important when you’re building furniture. One wrong measurement and you could end up with a wonky table. They’re rarely expensive, and it’s worth purchasing an auto lock tape measure. They have a rigid measure that locks in place. That allows you to measure without the help of someone else. Much like the tape measure, a level comes in handy more often than you might think. Again, our humble picture frame needs a level to make sure it’s straight on the wall. If you fancy yourself a carpenter, then you’ll certainly need a level when building a table or shelf. Without it, anything you put on top of it will slowly succumb to gravity and slide off! It’s best to get into the habit of using a level in every job you do. 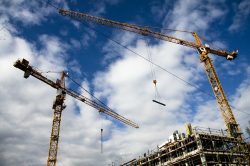 Use it to check that everything is straight at regular points throughout the project. A right angle tool is also a useful accompaniment here. A utility knife is your best friend on any DIY job. It has no specific role, but it comes in useful every single time. You’ll need it to quickly open a cardboard box or get into a new pack of nails. It’s handy to score wood or cut material. It will even sharpen your pencil. It’s one of the most handy tools in your box, and many DIYers keep it on their belt at all times. Of course, the knife is a dangerous tool so do be careful when flipping it in and out of your belt. Proceed with caution and act sensibly. 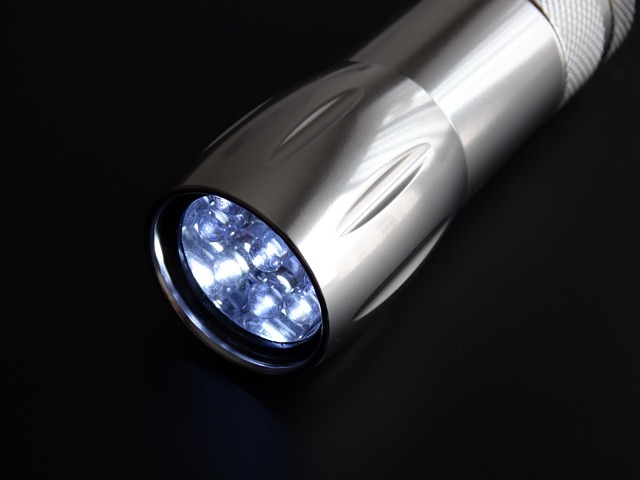 You never know when a flashlight will come in handy, and that’s the beauty of it. Keeping one safely in your tool box means you’ll never find yourself in a tight situation. If there’s a power cut, you know exactly where to find the torch. It’s also handy for hunting around in the dark corners of your garage or shed. We also like to keep a smaller head torch in the toolbox. That comes in useful when you’re working late into the night. 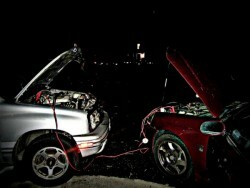 Oh, and don’t forget to keep a few batteries spare, just in case! So far, we’ve covered most of the mechanical tools. But, what about the electric alternatives? Well, the average DIYer certainly doesn’t need to go crazy when it comes to electric tools. There’s no need to keep a circle saw in your garage unless you’re a serious carpenter. However, there is one useful tool. The electric drill will come in very handy indeed. Its main job is drilling into the wall to hold up mirrors, shelves, and large pictures. You’ll also want a variety of different size drill bits to cater for all your needs. A hacksaw is a versatile little saw that is great for small woodwork projects. It’s more than sufficient for putting up a shelf or making a small coffee table. It’s the beginner’s introduction to the saw family, and you might want two or three different sizes. The best hacksaws have a replaceable saw parts or teeth. That way you won’t ruin the entire tool after just a few projects. 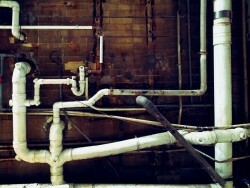 A hacksaw will even tackle some types of metal and most piping. Now that we’ve covered all the major tools, you’ll also want to make room for a few bits and bobs. These are the things that you always need, but inevitably lose! 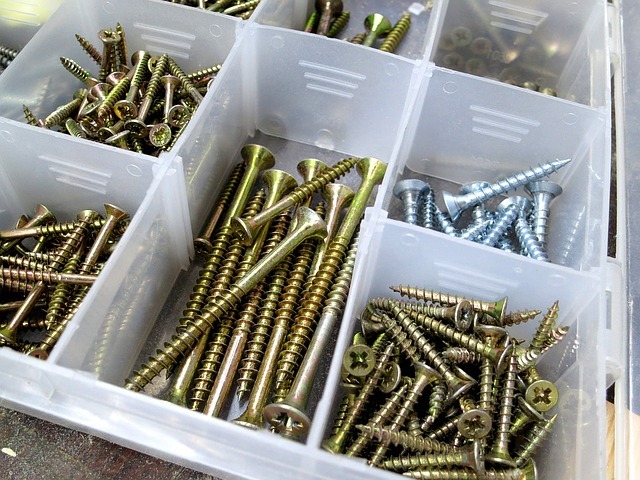 It’s a good idea to stock up on various size nails and screws. You never know when you’re going to need one. Separate them out into small compartments in the top part of your tool box. We also recommend keeping some nuts, bolts, and wall plugs in the same section. We also keep a couple of small fuses here too, just in case! The tool box is also a useful place for a couple of miscellaneous items. Superglue, in particular is another item that we regularly need around the house. Again, you never know when you’ll need it, so we keep it in the tool box. WD-40 is a simple lubricant that helps get rid of stiff, squeaky doors around the house. Don’t underestimate its power! Keep a full can of it at all times. Last of all, you should keep a well-stocked first aid kit with the tool box at all times. DIY is a dangerous activity, especially when undertaken without due care and attention. Keep your first aid kit stocked with bandages and treatments, just in case the worst happens. Furthermore, don’t take on a DIY project that’s bigger than you can handle. That’s all for now, folks! Now you know exactly how to fill your tool box for any task or project. Have we missed anything essential? 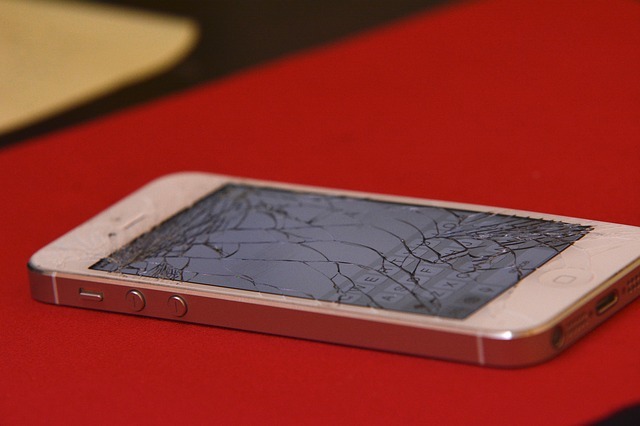 Should You Try to Replace Your iPhone Screen by Yourself? 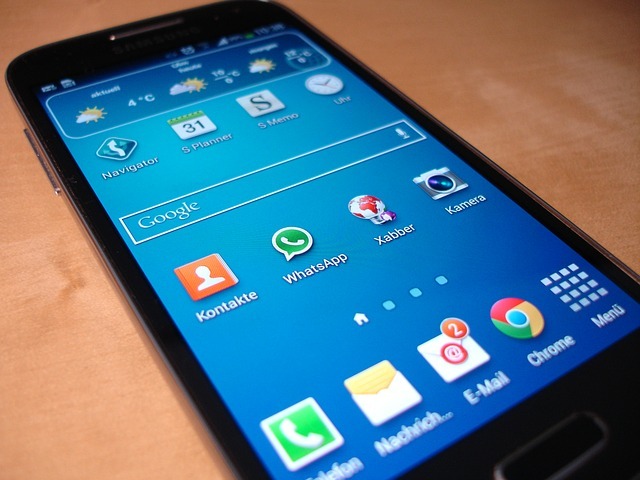 How Can You Replace the Broken Front Glass of Your Samsung Galaxy S4?